Thankfully it’s not going to be winter forever. However, we are surely in for a few more cold spells and snow yet. During the winter months, the drop in temperature means that food runs out for birds that come to our gardens looking for some extra help to keep warm. By putting out a little extra food you can be sure that you really will be helping out a variety of birds during the winter months. 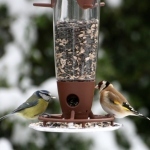 Peckish approachedRenfrew Group to design an easy to use 3 port seed feeder, to provide different food options and attract a variety of species to the feeding station. Understanding the need for a practical yet aesthetic solution, Renfrew Group’s innovatively designed feeder station features a set of interchangeable ports to efficiently dispense food to the target species without putting them in danger from predators, and the moulded tray ensures that no food is wasted food through spillage or soiling. 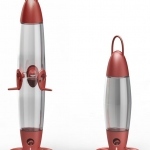 By employing a modern, elliptical design that is strong and durable, the clear transparent polycarbonate seed container is proven to attract more birds and can withstand 5 years of outdoor use, without fading or becoming brittle. Easy to assemble and clean, Renfrew have thoughtfully created a delightful decorative object that makes feeding our birds enjoyable. By putting out a little extra food you can help/keep your feathered friends strong and healthy, and you get the added bonus of being able to enjoy watching these amazing creatures close up and personal. Don’t overfill your feeder! Amounts provided should allow for rapid turnover to reduce the chance of food becoming mouldy or contaminated. Food that has been contaminated with droppings and saliva can be a reservoir for some diseases that affect birds so clean your bird feeder regularly with boiling water and disinfectant. Always wear gloves when cleaning your feeders and any brushes and equipment should only be used for this purpose and stores outside. 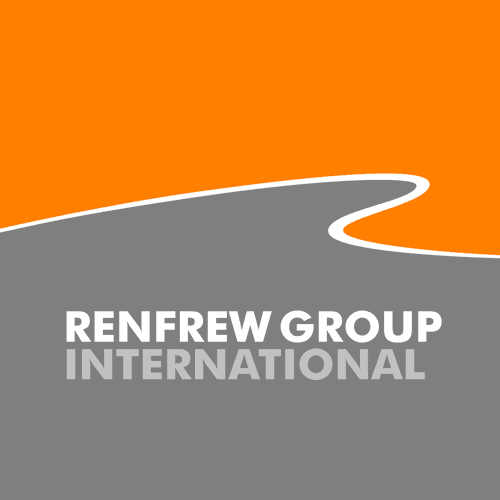 Renfrew Group International is an award winning product design consultancy that has for over 25 years, converted innovation into successful products. Projects have ranged from healthcare equipment through consumer products, automotive and capital goods across diverse sectors.